We provide an outstanding conveyancing service when you are buying and selling your home. Our approach centres on providing legal advice and services tailored to individual needs. We recognise that for most people the buying and selling of their home is one of the most important legal transactions they will enter into and our goal is to make this as easy as possible. Our team offer an integrated service that includes estate agency (in our Edinburgh office) and conveyancing (the legal process of selling and buying a home) to give you a seamless, hassle free service from initial valuation to final sale. As lawyers, we have the legal expertise to advance your sale from offer to final entry date swiftly and smoothly. We can buy your new home for you and co-ordinate both transactions. We buy homes as well as sell them, so we understand exactly what is happening in the market and can give you expert advice on how much to offer for your new home as well as a professional assessment of the likely selling price of your current home. 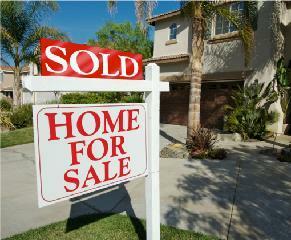 We have an impressive track record of selling homes. Our experience, together with the relevant property advertising package, ensures that your home will get maximum exposure and give you the best opportunity to find a buyer for your home. We are members of ESPC (which covers Edinburgh, Lothian and Fife properties) – to view our properties for sale under ESPC click here. Thanks for everything. You’ve been excellent throughout, both this and our previous purchase and sale, and I’ve greatly appreciated the way that you’ve kept me updated throughout, and the sound advice and judgement that you’ve provided. I would recommend you and your firm to anyone (in fact I already have)!